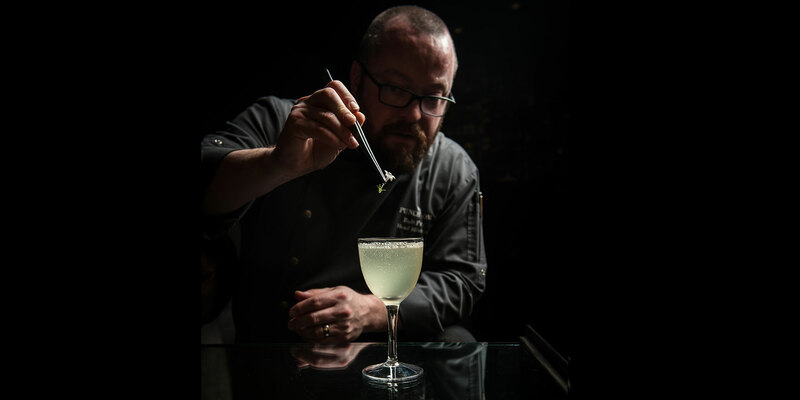 Bob Peters is easily Charlotte’s most renowned mixologist. His brand of fine dining cocktails exhibit unparalleled taste, balance and depth, which have earned him a devoted following among locals and visitors alike. You’ll find him most nights at The Punch Room, an intimate bar on the 15th floor of The Ritz-Carlton, Charlotte, that opened in 2015. This entry was posted in Press and tagged Amber Gibson, article, bars, bartender, best, Best cocktail bar, Best mixologist, Bob Peters, bob the bartender, bobthebartender, Charlotte, cocktail, Cocktails, garden to glass cocktails, james beard, Marriott, mixologist, mixology, outstanding bar program, punch room, punch room ritz, the ritz, the ritz charlotte, The Ritz-Carlton, Traveler.